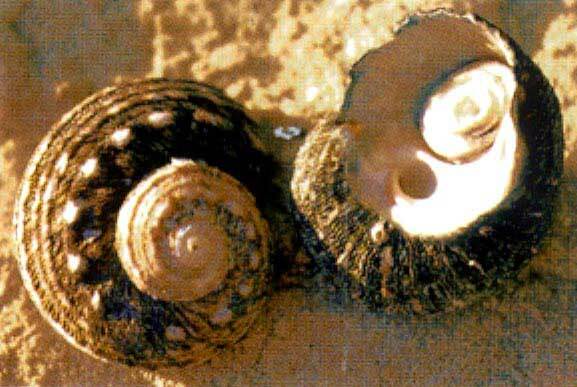 Turban Snails are vegetarian grazers of large seaweed and inhabit the mid to lower regions of the rock platform. The shape of the shell is reminiscent of a turban head dress. Turban shells close their opercula (trapdoor) when threatened by a predator. When people find these trapdoors they often don’t realise they were the front door of a much larger animal.